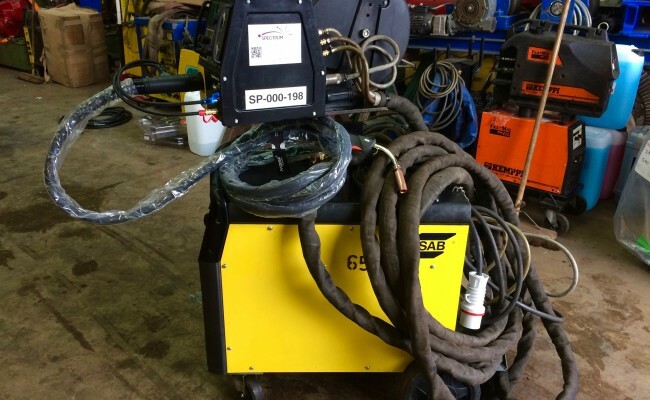 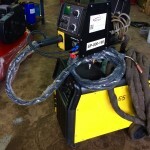 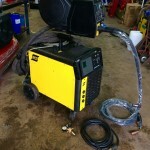 We currently have x3 of these monster ESAB Mig 500tw water cooled welders on our hire fleet. 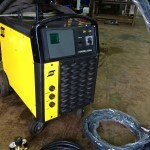 They are in almost brand new condition and fully serviced ready for hire. 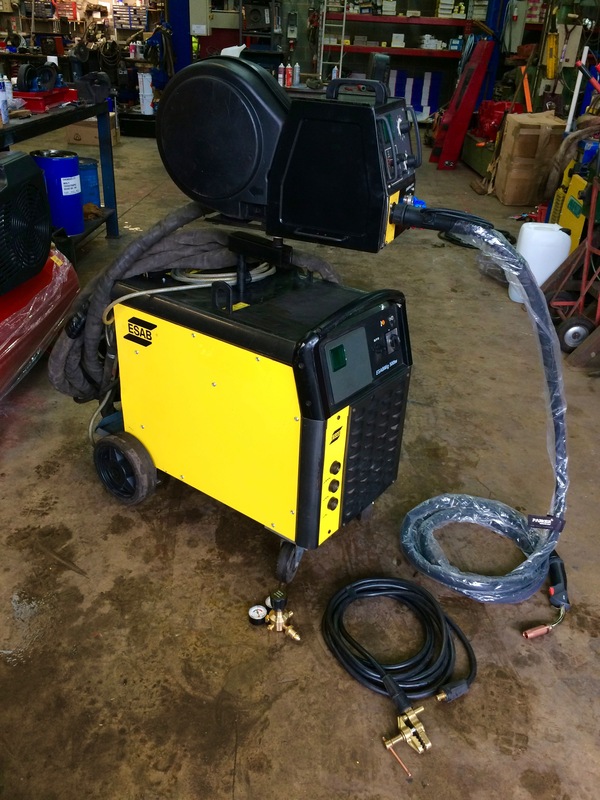 We absolutely love these MIG sets. 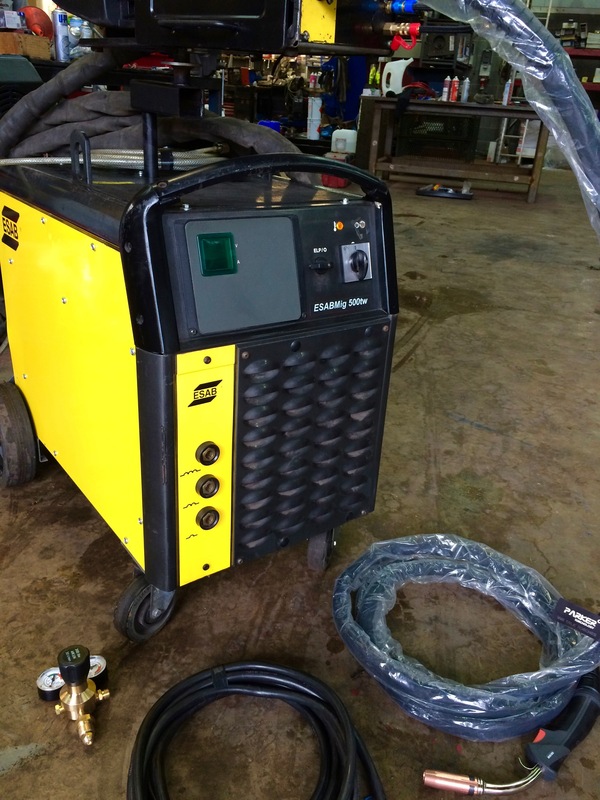 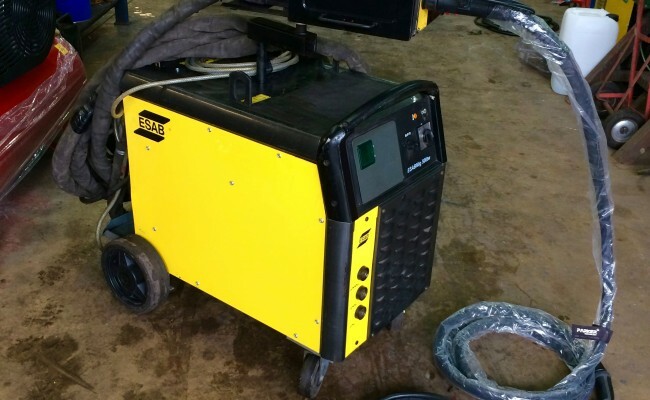 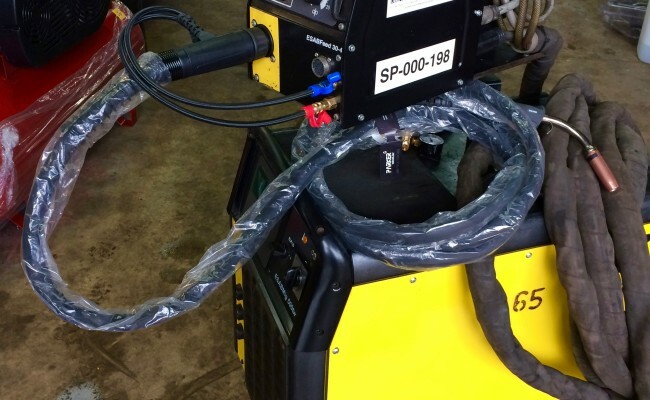 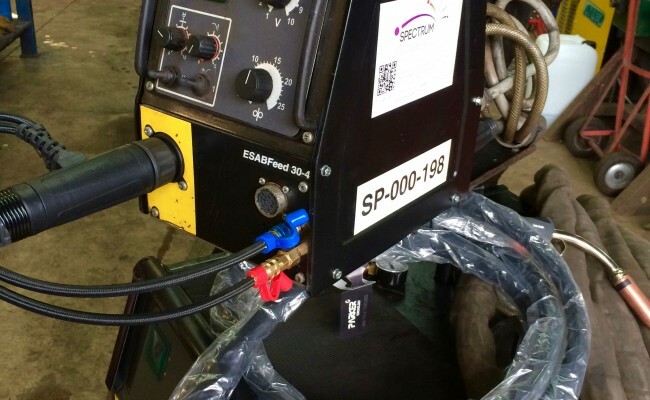 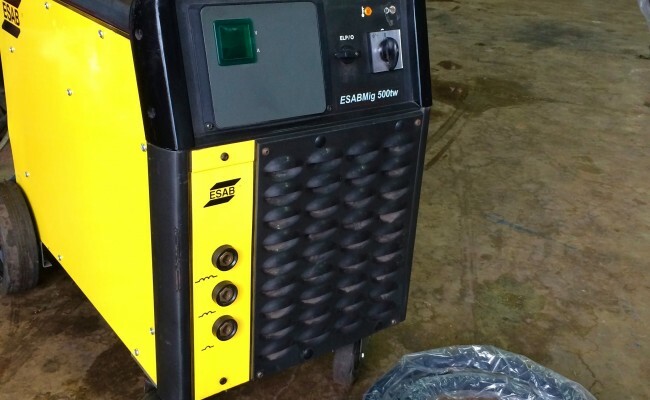 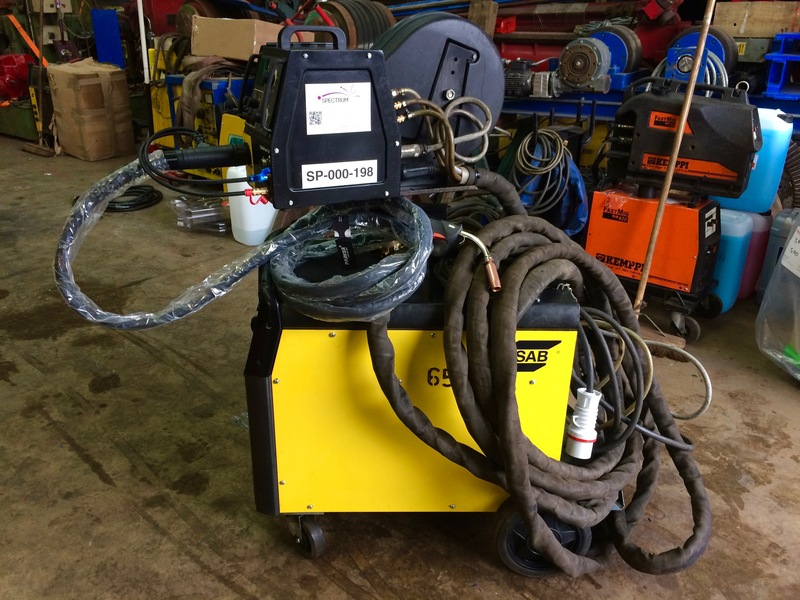 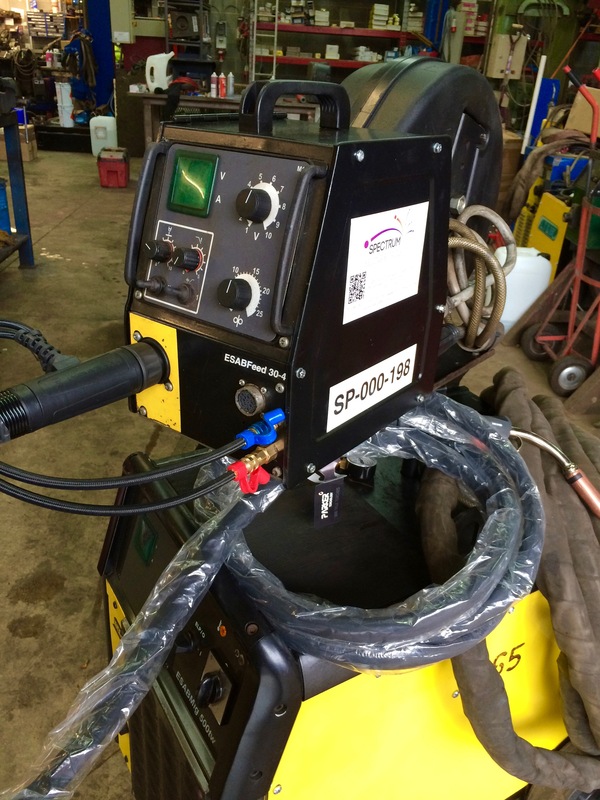 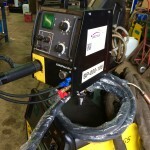 These welder's are particularly impressive because of those robust and heavy duty the components are in this machine, with ESAB having made the 500tw capable of 500 Amps @ 60% duty cycle, and 400 Amps @ 100%. 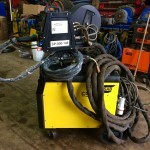 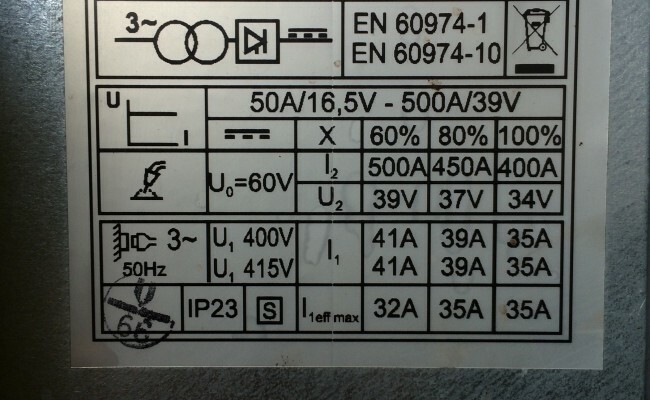 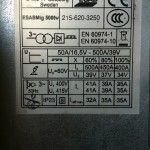 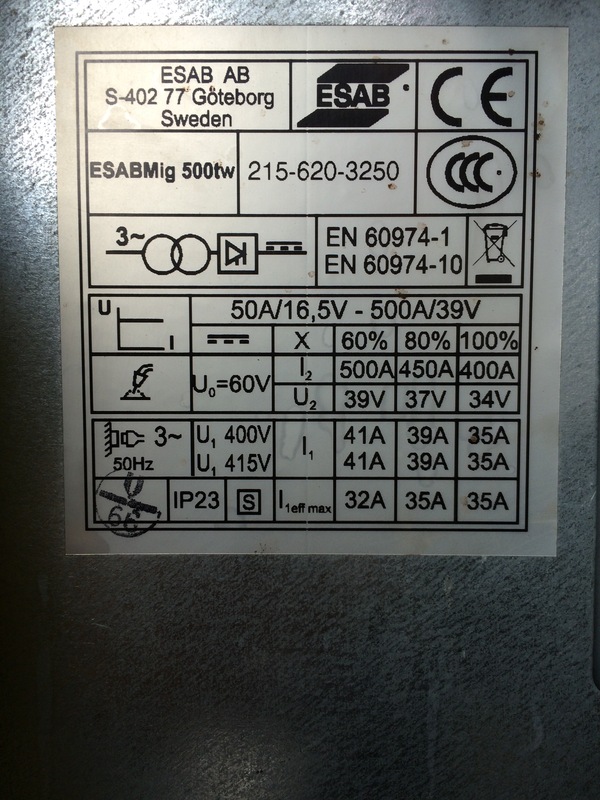 It surely is a whopper of a welder and we load tested it in our shop and got 625 Amps from this power source. 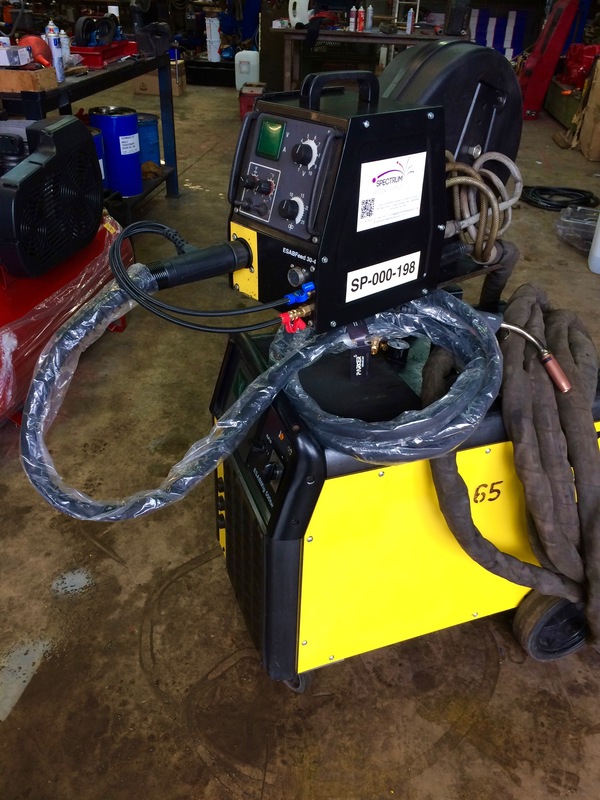 We hire these machines out as seen in the photos below to customers who are welding long duration heavy gauge plate.